University of Washington Medical Center, Seattle, WA. 48" x 84". 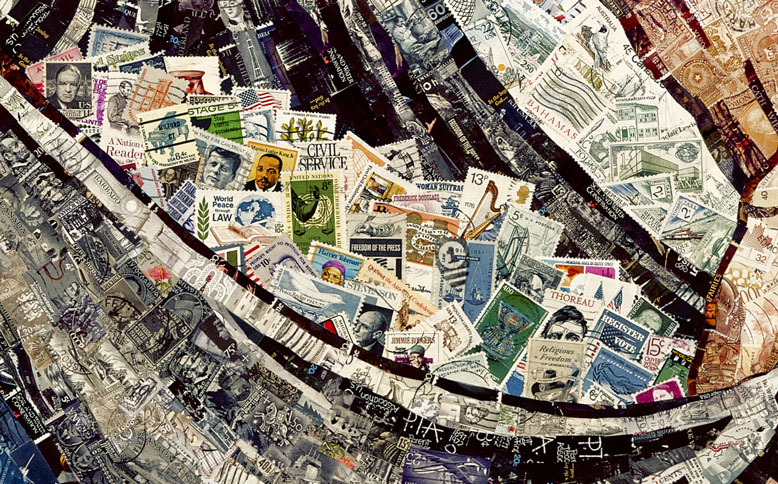 Postage stamp mosaic; cancelled stamps, mulberry paper. Seeds to Save, Seeds to Sow is a portrait inspired by my father's life and a tribute to him. He loved people and was deeply concerned for the well being of others. Years ago I found in his desk drawer just a small saved bag of stamps, commemoratives of ideas that he must have felt were too important to throw away, ideals that he worked for throughout his lifetime. His stamps comprise the seeds in the sower's pouch. The actual materials of the artwork form a collection of both common and rare mixed together. Some stamps were rescued for the project, some donated, some selected. I have used traditional mosaic techniques to create color fields that magically pull together as you step away from the close-up view. 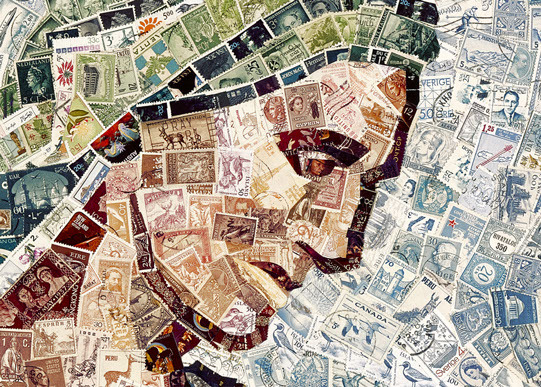 The total effect is enhanced by the qualities inherent in the personal histories in the postage stamps themselves- the time element, the global reach, and above all, the astonishing feeling that they are all energized by the touch of thousands of people sending thousands of stories. I hope that patients, staff and visitors will be interested in and soothed by the wonders and diversity of life that these miniature worlds evoke – whether childhood memories, love letters, the anticipation of a journey and a safe return. 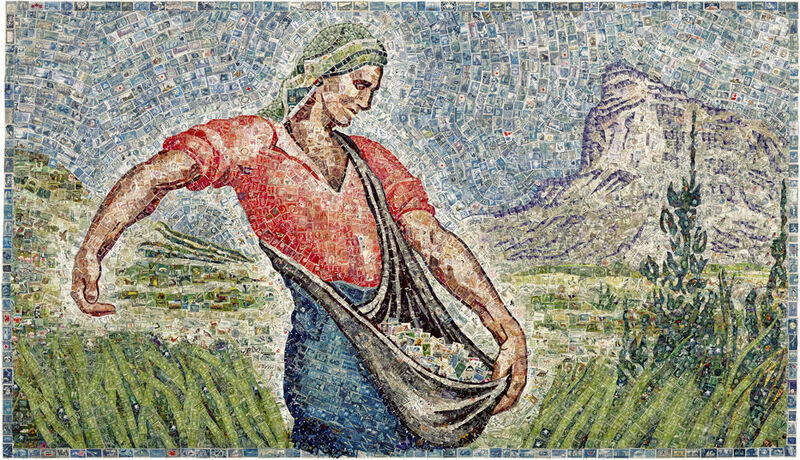 The image of the sower sowing seeds alludes to the medical profession's desire to heal and renew life, and acknowledges that caregivers are always giving of themselves in caring for and supporting others.